The moment I saw Showdown, I knew it was special and I had to have it. 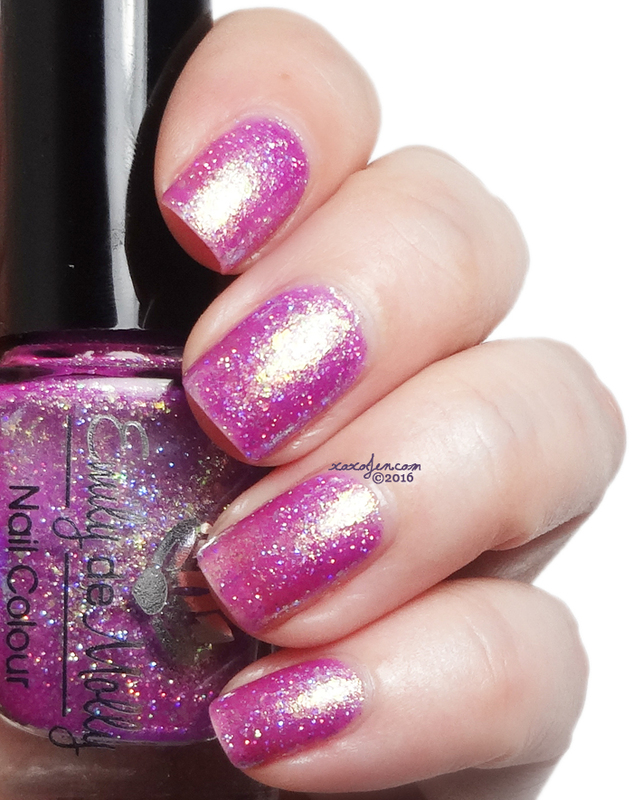 I had not ever seen a tinted jelly polish as sparkly and flakie as this and haven't seen anything else even close to it since. Absolutely unique in my collection and possibly in the whole nail polish market. If you don't have this, you need it. Trust. Formula was excellent as with all EdM polishes and two coats was opaque enough for this gal. I hope you have enjoyed the review and swatches! And yes, this polish is still available! Visit EdM's store and pick up a beautiful polish or five! Very nice shimmery glittery pink. Yes, I agree. Love it!